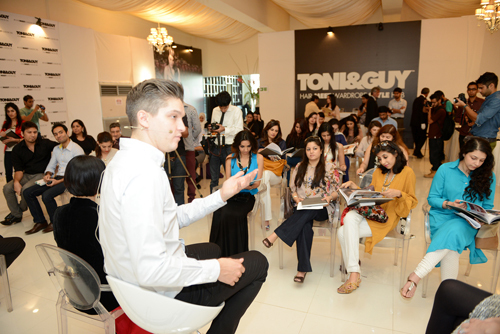 Karachi, March 7, 2013: Hair product market in Pakistan just got more diverse and exciting as the new range of TONI&GUY Hair Meet Wardrobe was launched to a selected group of fashionistas and to the media of Karachi. 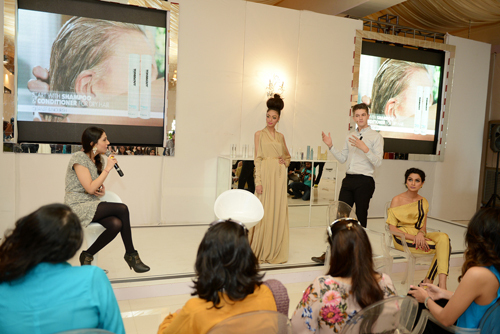 After UK, Thailand and Australia now Pakistan is one of the first Asian markets to launch the new range of Shampoos, Conditioners and 4 fashion inspired Styling Ranges, appropriately termed as Classic, Casual, Glamour and Men’s. 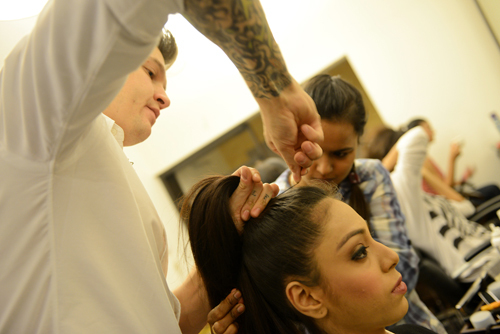 TONI & GUY Hair Meet Wardrobe philosophy believes in the total finished looks like dressing from head to toe. Hair styling products are neatly divided into different looks as Casual, Classic and Glamour. A key range of products within this style philosophy introduced in Pakistan by Mark Hampton and Feeha Jamshed in a fun presentation of eight models dressed and prepped in Casual, Classic and Glamour looks. Mark has a stamp on TONI & GUY Hair Meet Wardrobe philosophy range of hair dressing. Earlier this season at London Fashion Week Mark took the lead at TONI&GUY Hair Meet Wardrobe to sponsored shows, by creating the hair look for the mighty Vivienne Westwood Red Label and next generation presentation FASHION EAST. Mark style-matched the four style collections against the designer’s looks, generating wow moment and showcased the hair trends for the season. Mark has collaborated on exciting advertising campaigns with leading fashion brands and his work has been featured in some of the coolest style titles across the globe. 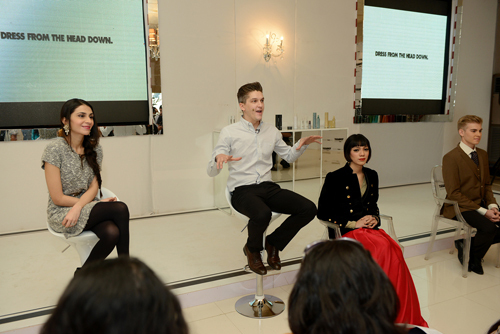 such as Daisy Lowe, Mark’s fashion credentials have earned him a place as hot property and one of the UK’s most sought after hair stylists. 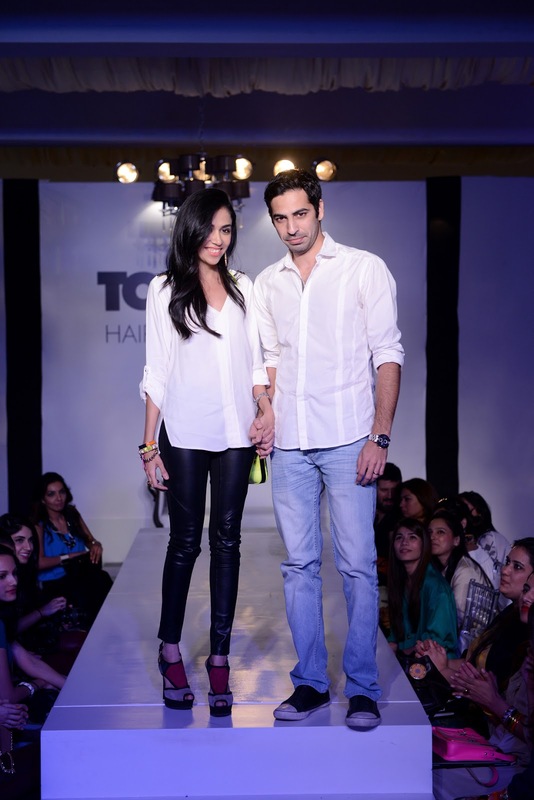 For the Pakistan launch he is collaborating with Feeha Jamshed, the daughter of the illustrious Tanveer Jamshed, One of the pioneers in creating awareness of fashion among Pakistanis through his signature brand Teejays, founded in 1970.Feeha Jamshed fashion brand was launched in 2012 and since then has been earning great success in Pakistan. Ingenue girls have been seen to have a lot of craze developed for the Feeha Jamshed Collection as soon as it hits the stores. 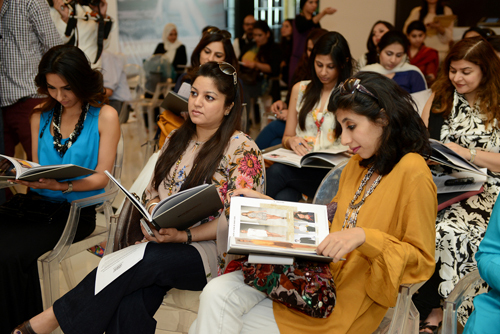 Feeha is progressive in her designs and takes risks with her unconventional cuts and departure from feminine norms. She believes in portraying the strength of the female form through her designs to break through traditional barriers, fuses traits from the East and West to create truly unique ensembles for the contemporary women of Pakistan. 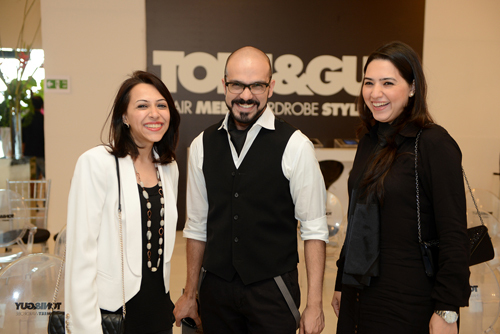 Feeha Jamshed is also an integral part of the Toni&Guy Style Collective that was introduced to media at the event. 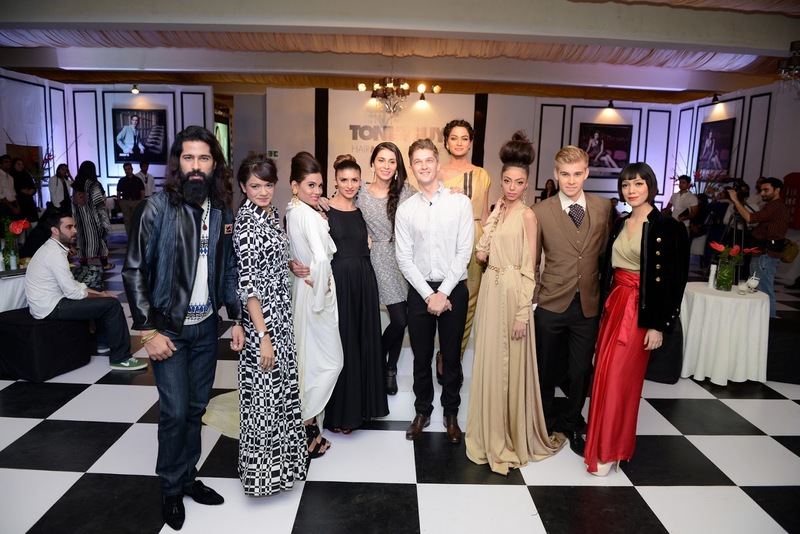 Asmaa Mumtaz (Stylist), Maha Burney and Nadir Firoz (Stylist and Photographer), Maher Tareen (Editor, Blogger) and Raana Khan(Stylist) all form the nucleus of the Pakistan Style Collective – a selected band of people who live the brand philosophy and embrace Hair Meet Wardrobe in their everyday lives. 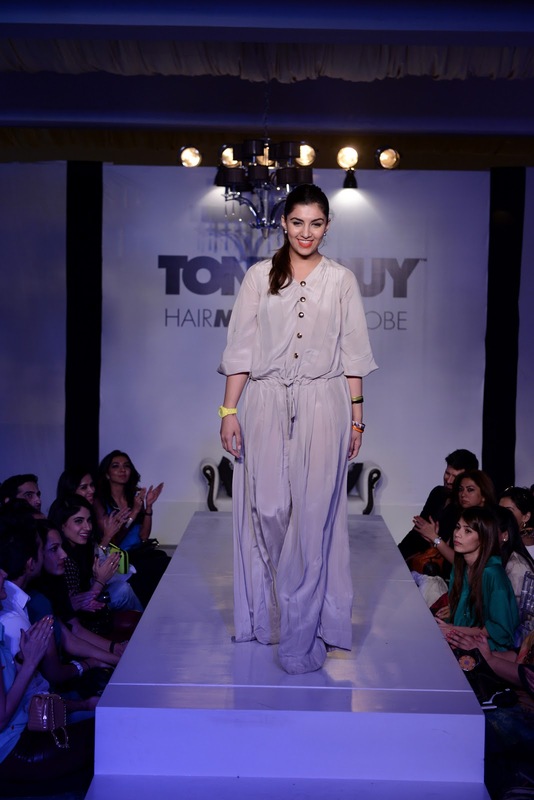 As Mark used up tones of the newly introduced, Shine Gloss Serum, Sea Salt Spray and Volume Plumping Mousse to prep and style 8 models and Feeha dressed the models the whole new philosophy unfolded at the stylishly done up venue. The music pumped out loud and the selected guests feasted on an English themed tea party and canapés. 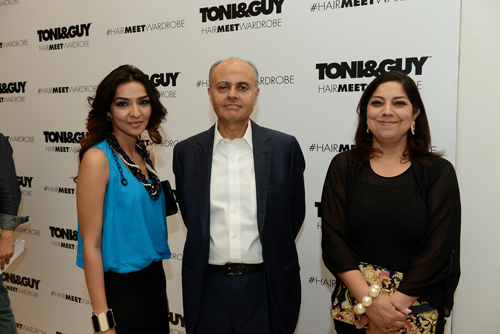 TONI&GUY Hair Meet Wardrobe was off to an electric start in the Pakistan hair product market.